From Master Bobi: Are super progressive eyeglasses from expensive optician centers around the world same as ISOPTIK’s ? 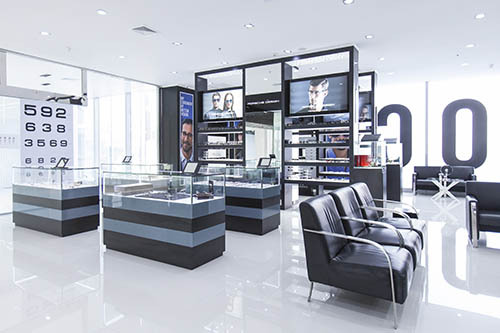 From Master Bobi : Do the other worldwide luxury eyeglasses vendors provide the same quality of The ISOPTIK Ultra Individual Digital 3 D Progressive Eyeglasses made using advanced technology as ISOPTIK does ? Only believe, says Master Bobi passionately. 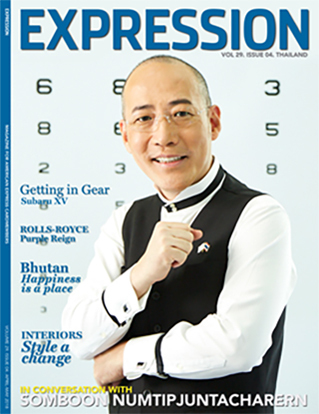 The creator of ISOPTIK, The Hi-End Eyeglasses Centre legendary for its cutting edge prescription glasses, repeats himself, “ Only Believe in Yourself. Khun Somboon Numtipjuntacharern, better known as Master Bobi, is certainly not shy about coming forward to tell you about his achievements, but then he has achieved a lot. He has an amazing passion for his work an almost messianic desire to share his thoughts, ideas and beliefs with both his customers and the world. 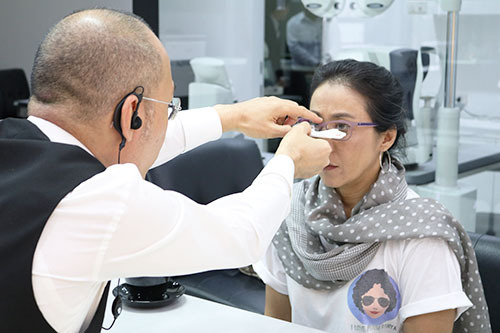 More then 40 years ago, little Bobi, the sixth child of Sawang and Napaporn Chaowanakosol who owned an optical store “ Sawang Optical ” in Trang province, asked his father out of sheer curiosity why his grandmother had poor vision no matter how good her glasses were. Somboon Numtipjuntacharern, better known as ' Master Bobi ' a man on a mission. He wants the world to see better and it bothers him when people have less than perfect vision. " Life is too short to limit your vision. " " He says. " Not having crystal clear eyesight limits your life. My mission is to give a better life to my customers." " I was born in an optic shop, " says Bobi, " growing up watching my father make hi-end eyeglasses. The high price tag matched his quality. 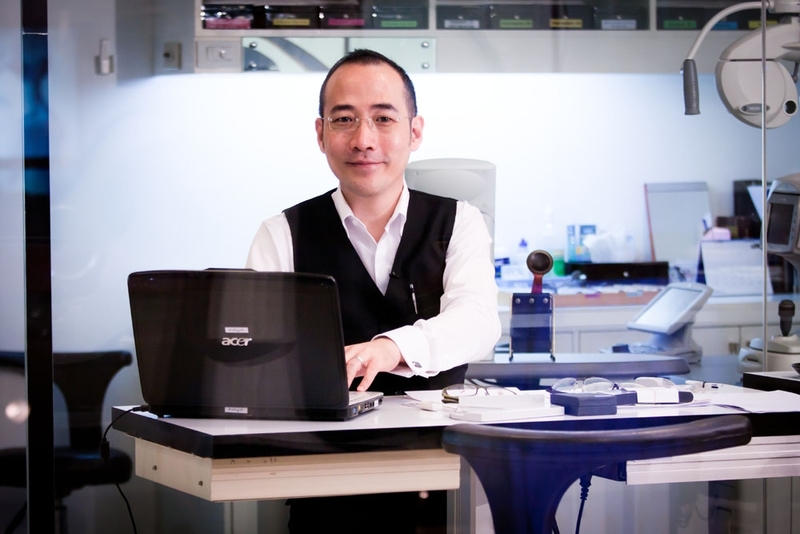 He was my inspiration to open ISOPTIK, the only optic shop in the world selling only hi-end eyeglasses. " So what's the CEOs' secret he knows? " Not complicated or mysterious at all, it's a Vision! " Bobi answers. " Actually as the hi-end eyeglasses specialist I can't do anything much about their attitude vision, but I can improve their best optical vision that will unbelievably take effect to their lives; the ways they see the world and the process of thinking for their business." " Obviously it is a factor, " he answers, " because we look things through our eyes, but meanwhile we see them also with the brain! Thus, if your eyes aren't able to capture objects clearly at first, your brain must work harder to decode the signals. Just like an unclear picture, you inevitably have to rely on highly technical computer software for rendering and retouching to give it clarity," he illustrates.
" We take a very professional approach, " he adds. " We only see customers by appointment and they must have a clear 30 minutes for me to do the tests. They should also bring all the eyeglasses they have been using. We don't offer a quick solution; I use state-of-the-art technology equipment to make masterpiece eyeglasses. " 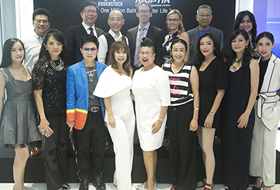 Somboon Numtipjuntacharern, better known as ' Master Bobi ', has a dream - to give a better quality of life to people through his hi-end eyeglasses. " Life is too short to limit your vision, " he says. All of us start to gradually lose our eyesight by the time we get to our 40s, thus we start to limit our capabilities.